The deadly fire in an Oakland warehouse used as a makeshift artists' loft is hitting home for Boston’s creative community. Artists in the city connect with the tragedy on many levels — some feel like it could’ve been them, and they’re heartbroken about the lives lost. But the horrific event is also raising concerns about their struggle to find safe, affordable spaces in Boston where they can live, work and perform. I visited a few artists to find out more about the realities they face. Forty-two-year-old installation artist Stephen Frederick showed me around a beautiful but dilapidated 1800s firehouse in Dorchester. “As you can see the building basically needs all new everything,” Frederick said with a laugh. Frederick and his partner bought the rundown structure in 2012. Since then they’ve been transforming it into an artist live/work and performance space. “A lot of the major costs would be in terms of fire isolation," Frederick said, "separating the downstairs and upstairs spaces and also to provide more fire exits from the upstairs." 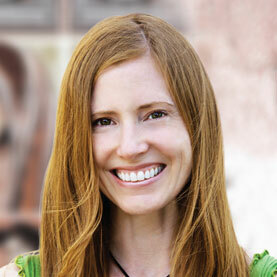 Navigating building codes and making a repurposed building safe is expensive. The couple has already sunk $400,000 into removing black mold and replacing the electrical and plumbing systems. “For us to get make this fully legal, up to code, and fire safe for public events," Frederick said, "we probably would need to raise an additional [$400,000] to do that." The two artists named their building project Torrent Engine 18. They admit its future is uncertain. Now the Oakland fire is adding to the chill in this unheated work-in-progress. Frederick's partner, writer-performer Katherine Bergeron, said the crushing news is taking her back to when flames ripped through an illegal live/work space and venue in Allston on Rugg Road. 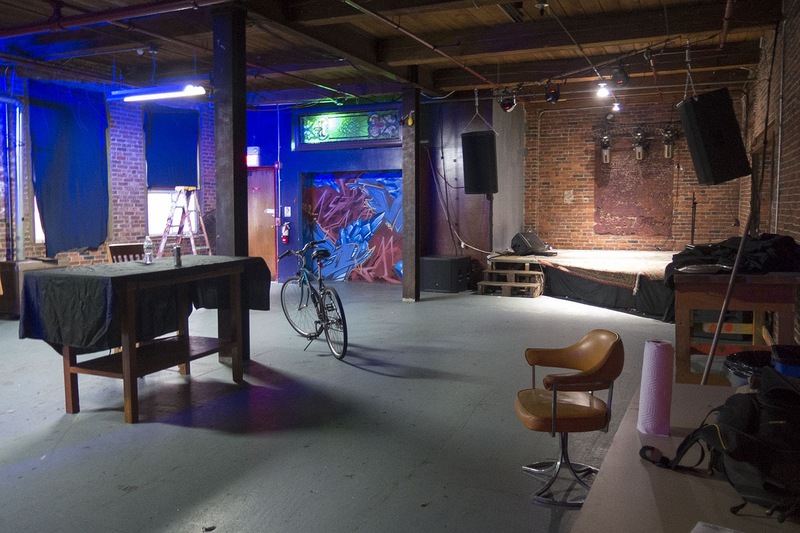 It was occupied by a collective of underground artists and musicians known as Pan 9 — Amanda Palmer and the Dresden Dolls used to play in the basement. The scrappy building was also Bergeron's home. The artists fought the blaze with extinguishers and got out with some injuries. But, in the end, fire, smoke and water damage rendered the place unlivable and the artists homeless. Bergeron said a lot of people have asked why she would live illegally in an unsafe space. Her answer? “Well a lot of us don’t really have a choice,” she said. These days the couple lives legally in a small Malden apartment. The fact is that artists have been occupying spaces illegally in and around Boston for decades — to perform, work, live or find inspiration and community. Frederick said the legit artist live/work options are too expensive for most of the artists he knows and that a lot of people are still using illegal spaces. Now Frederick and many other artists are worrying about a crackdown, like what's been happening in Oakland and other U.S. cities since the tragic fire. 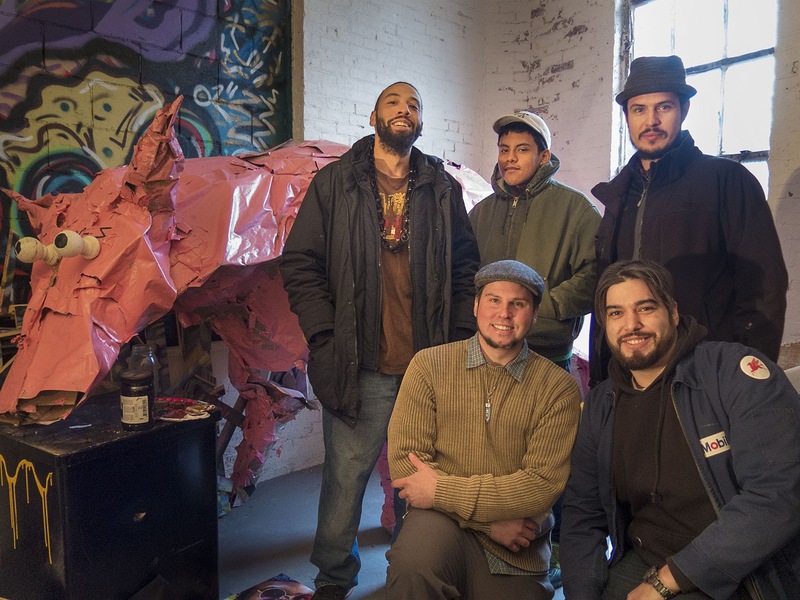 “None of us want to be doing anything illegally," artist Evan Lukash said. "And yeah — that’s a huge fear for a lot of us working artists." Lukash grew up in the Bay Area and said while he wasn't close to any victims of the Oakland fire, they were part of the same tight-knit community. The 33-year-old said he's lived in spaces in Oakland like the warehouse that burned and compared that city to Boston. Other people interviewed for this story concurred with Lukash. Now he’s relocated to Boston, but he can't afford rent in the city — that’s why he lives in Bedford. Lukash — who goes by the artist name “V.Kash” — said he moved here in part to support an expanding artist work/performance space and collective in Roxbury. It’s called the Inner City Sanctuary for the Arts. 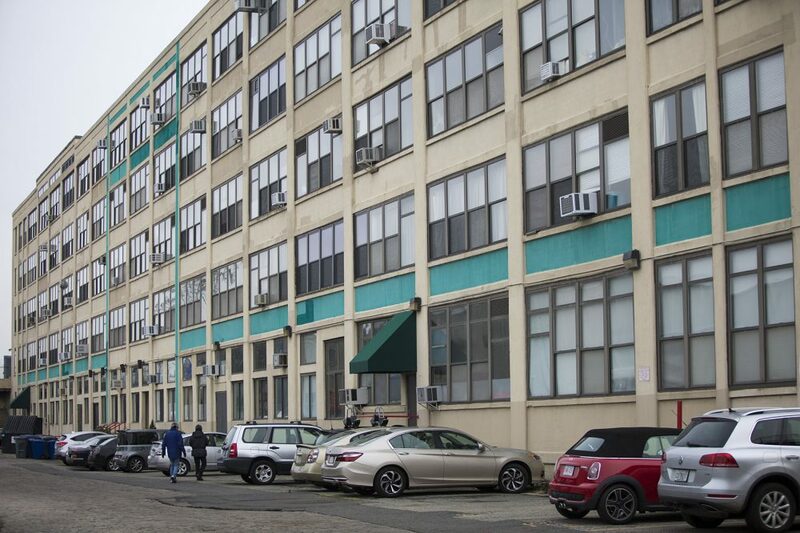 Once you find the nondescript warehouse in Dudley Square, you can walk through its art-covered hallways, work rooms and studios on the second floor. There’s also a stage and sound system. Steven Johnson, 27, co-founded “The Sanctum” and said about 20 artists, musicians and designers work here in all media — from painting to virtual reality to bootmaking. Sitting on a couch in the space, Johnson said it’s an open, collaborative atmosphere, but they definitely do not live there. That would be illegal. “We need to make sure there is enough live/work space for us to have artists in Boston,” Johnson said. He then asked and answered the question of what would happen to him and his fellow artists if those spaces didn't exist: “We move away." 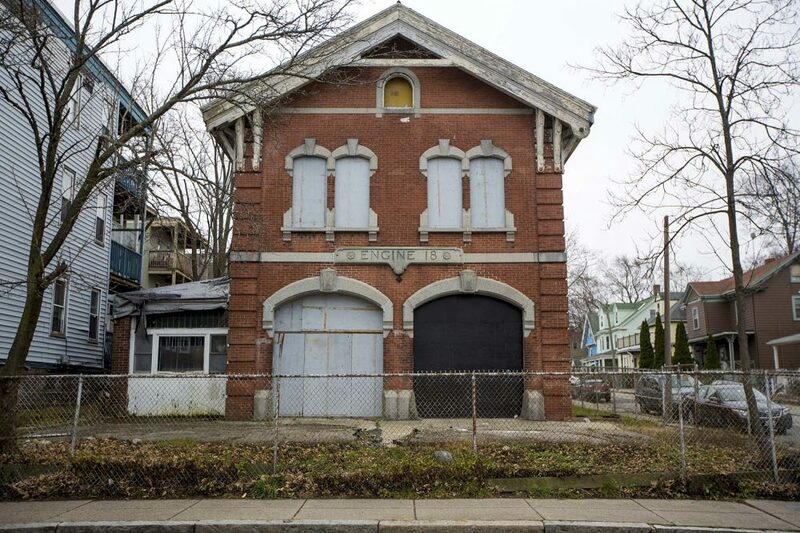 There has been an artist exodus to more affordable, amenable cities including Lowell and Providence, Rhode Island. In the meantime, Boston is working to retain its creative economy in a few different ways. Christopher and his office told me there have been no increases in inspections or citations since the Oakland fire. Christopher added that Boston Mayor Marty Walsh supports artists and inspectional staff has been working with property owners to bring illegal live/work spaces up to code. Plus, part of the city's cultural plan, known as “Boston Creates,” is prioritizing affordable housing for artists. But in talking about what happened in Oakland, Christopher said there's a more severe level of scrutiny when unsafe buildings are used for illegal music shows or parties. This year Christopher's department shut down such a space in Allston after the city caught wind of plans for an unpermitted rave. "When we got there," Christopher said, "there were people living in spaces that were supposed to be offices, [and] some of the egress paths did not meet the standards that we require. There were washers and driers and ladders in stairwells.” That’s dangerous and unacceptable, he said. Falco has a studio in The Distillery, a 20-year-old live/work space in South Boston. For Falco, one of the biggest reasons why all kinds of lower-income people end up in unsafe or illegal spaces is the skyrocketing, speculative real estate market. I think we all know artists have a knack for finding cool, cheap parts of town. Then they make them even cooler and more vibrant, not magically, but through hard work, creativity, ingenuity and community. But it seems eventually most artists get pushed out (exceptions include the Fort Point artists who have battled for years to keep their Seaport live/work buildings). Falco said this process is nothing new — and it's complicated. Then the soft-spoken artist posed a question. “The energy that was put into getting GE here — couldn’t we be putting that energy into the people that are already here?" Falco asked. I spoke to a lot of area artists for this story. Here's a quick look at where they live and work. Artist Dana Seaver lives at Brickbottom Artists Association in Somerville, but before that he was living in an illegal space. Seaver said he lived in an illegal space “because I could make noise there. Inspiration doesn’t have a 9-5 job." 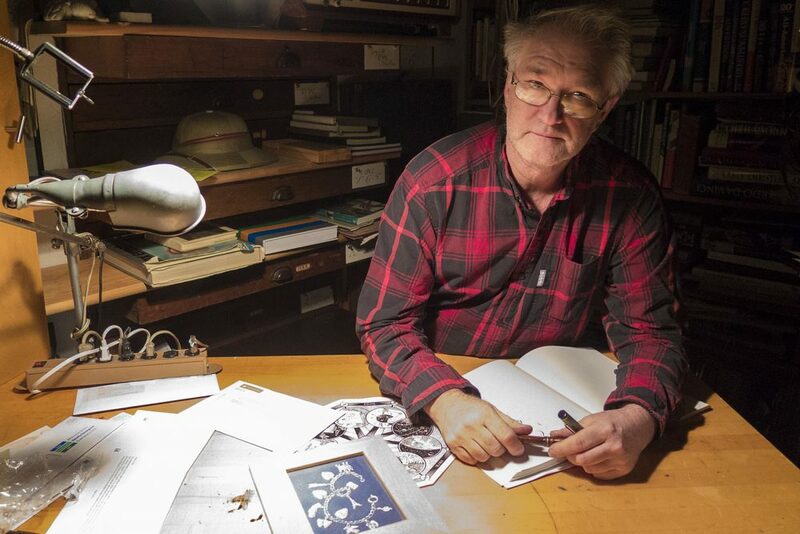 Pier Gustafson, a 60-year-old illustrator, lived illegally in Boston on A Street years ago in spaces where they turned the heat off at 5 p.m. every night. 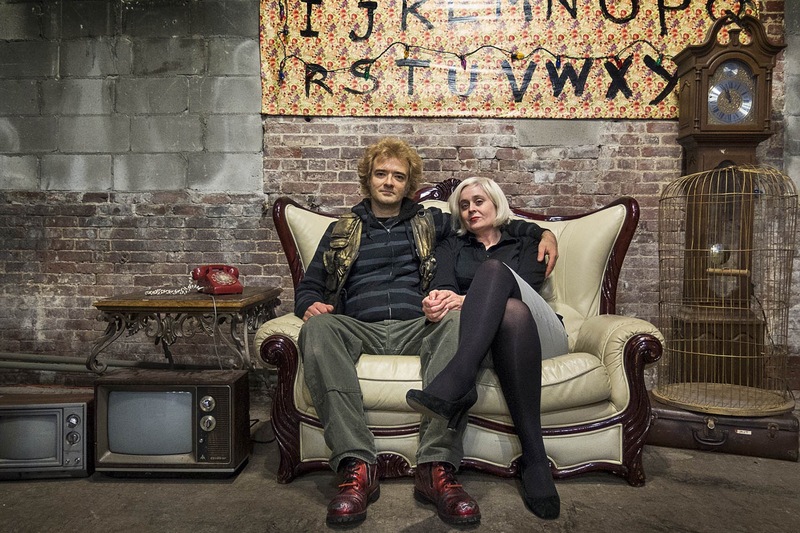 For the last 30 years, Gustafson has been living at Brickbottom Studios in Somerville. Cait Danahy runs Casablanc, a shared artist, designer and entrepreneur studio space and gallery with a retail area that sells everything from street apparel to beard oil. It’s all housed in a 200-year-old South End warehouse. Her partner Pat Dagle said other big warehouse buildings in Boston have already been scooped up. 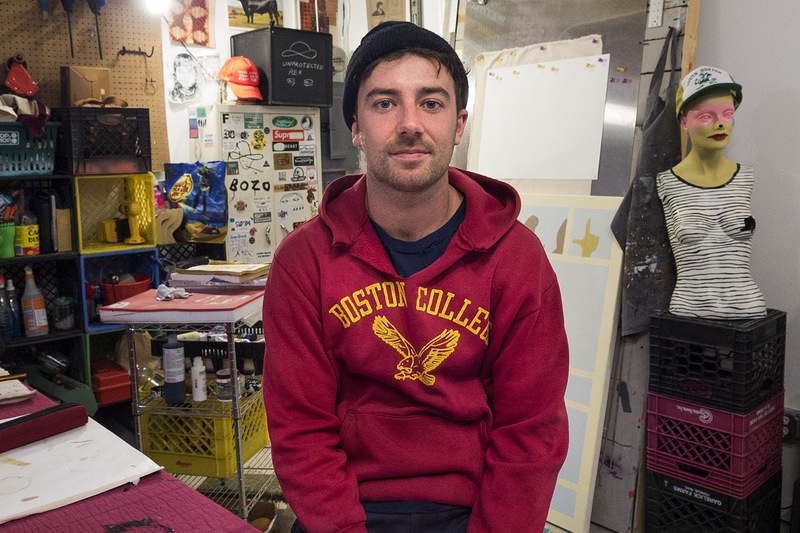 Mike Dacey owns Repeat Press and is the former manager of the now-disbanded shared workspace collective Fringe that was, until last month, in Union Square in Somerville. 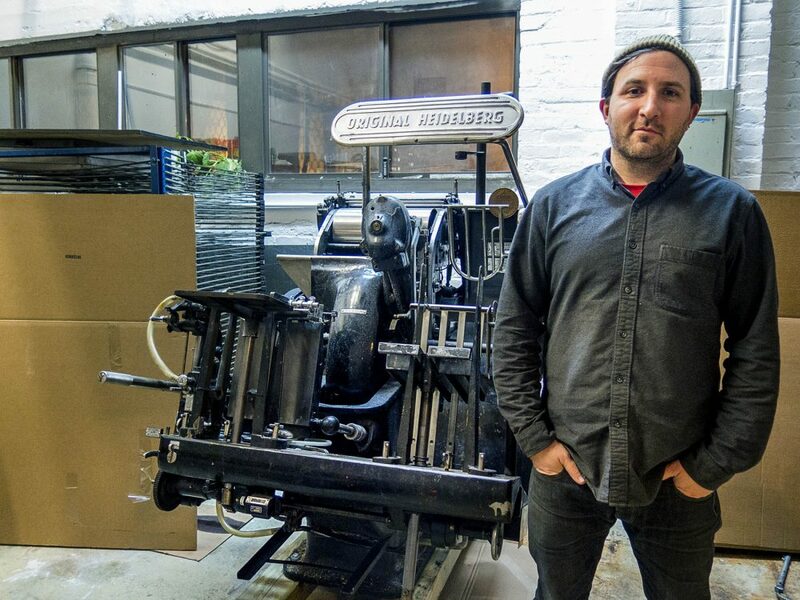 Dacey has moved his letterpress printing presses into a space at the 30-year-old Brickbottom Studios. Dacey said he worries the Oakland tragedy is going to spook owners and landlords. This segment aired on December 9, 2016.